The demand for experts in Earth Sciences continues to grow as we look to better manage our soil, water, minerals, energy and coastal and marine resources, as well as understand natural hazards such as floods, earthquakes, tsunami, landslides and volcanic eruptions. 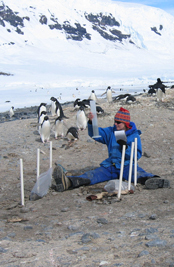 The School of Science approach to Earth Science is uniquely placed to offer a thorough grounding in all aspects of earth sciences. We are situated close to both North Island coasts, a short drive from the active Taupo Volcanic Zone, at the heart of the richest New Zealand farming region, and have New Zealand's longest river on our doorstep. Find out more about the related major subjects, Earth Sciences and Environmental Sciences. The Earth Sciences major at Waikato consists of four main sub-disciplines: geology, soil science, hydrology and coastal processes. The first two years concentrate on fundamental knowledge and skills across all subdisciplines. In your final year, you’ll have the option to specialise in a specific area. We offer a learning experience that goes beyond the laboratory and lecture room - and out into the world. 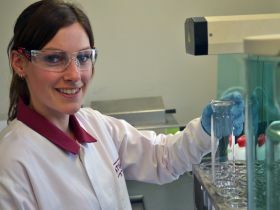 The School of Science offers a number of services to businesses, organisations and individuals at competitive prices. Specialised field sampling and state-of-the-art measurement and monitoring technology are complemented by modern laboratory and computing facilities. Check out the facilities and services available. Find career opportunities in the Earth sciences. Check out the facilities and services on offer. Find out what's happening in Earth sciences at the School of Science. Meet staff and students from Earth sciences. Catch up on Earth sciences research from the School of Science. Donate to the Terry Healy Memorial Award.